In my quest to read all the Newbery-winning books I knew that I would find some that I didn’t like. I don’t like The Matchlock Gun (this edition is closer to the edition I borrowed from the library). Winner of the 1942 medal. It’s probably more interesting as an artifact of American publishing mid-century than as a fun story to read. The plot is fairly simplistic: white settlers of Dutch descent in colonial New England are threatened during the French and Indian war; father leaves to help the militia leaving mother, tweener son, and young daughter at homestead; wouldnchyaknowit but a group of Indians shows up, wounding the mother as she runs to alert the children; the son saves the family by firing the 16th century Spanish matchlock gun; the home burns down but the family is alive when the father returns. The end. According to the author’s lengthy foreword (which ought to be an Afterword since it gives nearly the whole book away), the story is based on a real event in the author’s family history. Fair enough. However, the way Native Americans are depicted in the illustration and description, essentially as savages, is a reflection of a mid-twentieth-century viewpoint; it really doesn’t work in 2010. The illustrations are also very garish and look like they were done by a grade schooler with a limited number of crayons (the illustrations were also placed in odd areas, sometimes before the text of the scene depicted). All in all, I wouldn’t assign this as a book for children. Maybe for a history of publishing class or as a refence about cultural attitudes. Caddie Woodlawn is older by about 6 years and is far better in both tone and story. Susan Gubar is one of my favorite literature professors. And I’ve never taken a class from her. But I do love The Madwoman in the Attic, co-authored with Sandra Gilbert, and eagerly snapped up Gubar’s book Rooms of Our Own when it appeared in paperback. Rooms of Our Own owes a great deal to Virginia Woolf, not just in title, but also in structure. Gubar chose to structure the book as a semi-fictional, stream-of-consciousness examination of feminism and academia. She created an alter-ego of approximate age, taste, and experience to herself and followed that alter ego through an academic year at an institution of higher learning (that bears a striking resemblance to Indiana University). The alter ego muses on the status of women in higher education, what progress has been made or lost since her early years as a young graduate student and professor. She observes the growth of gender studies and how it intersects with extant women’s studies programs. The book is a bit of an odd ramble for a work based on theory but before you think it’s just too wierd I have to say that the structure works very well. Anyone with a background in women’s or gender studies would have a field day with all the theorists mentioned and mulled over in Rooms of Our Own. The use of the alter ego allows Gubar to comment on situations without being overtly critical of an individual. Gubar uses a composite faculty meeting – where funding is hashed out – where the participants are all described as members of a menagerie to discuss the competition that is always present in a humanities program; because the meeting is presented through the alter ego, we are able to see the humor and irony that must be present at nearly every faculty meeting at every institution in the country. I liked my second Gubar book, not quite as much as Madwoman, but Rooms does have a great deal of ideas to think over. In A Vindication of Love: Reclaiming Romance for the Twenty-First Century, Christina Nehring sets forth to return romantic relationships – those involving that tricky, slippery emotional state called “love” – to center-stage. Love is in dire straits, according to Nehring. It is too safe; the risky thrill of falling in love, risking one’s emotional state, has been flattened by PC-ness, “prescriptives” for every relationship problem under the sun, and banality. This is not a “relationship” book, no matter where you might find it in the bookstore. Nehring offers no “quick-fix” for what ails one’s relationship. Instead, Nehring uses examples from history and literature to show how the relationships that cause us to show our vulnerabilities are often the ones that are the most satisfactory. A Vindication of Love is far more a cultural studies work than a self-help book. Nehring first takes issue with the historical denigration of women’s romantic relationships starting with Mary Wollstonecraft and Edna St. Vincent Millay. How could an intelligent woman, one who espouses equality between men and women, fall prey to whims of the heart? Attempt suicide because her lover has left her? Must be something wrong there…but then history never stabbed Percy Bysshe Shelley in the back for abandoning his first wife (who drowned in the Thames under suspicious circumstances, if I remember) to wed Mary Wollstonecraft’s daughter, Mary Shelley. This introduction leads into an examination of love as it functions in power dynamics, abscences, wisdom, art, transgression, and failure. Along the way, Nehring pulls examples from history (Dante and Beatrice, Petrarch and Laura, Frida Kahlo and Diego Rivera, Abelard and Heloise) and literature (Darcy and Lizzy, Jane Eyre and Mr. Rochester, Catherine and Heathcliff) to show how love can elevate and illuminate, or wound. 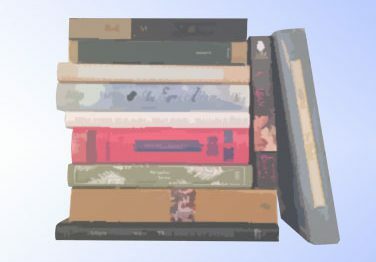 There is a wealth of close reading and research to support the chapters (and if you haven’t read Abelard and Heloise or Dante or Pride and Prejudice or Wuthering Heights your TBR needs expansion). Unfortunately, I found one mis-quote. Mis-quotes drive me nuts particularly if the source is one I know well. Like Jane Eyre. On page 52, Nehring is discussing power discrepancies and cites a scene in Jane Eyre where Jane refuses to call Mr. Rochester “Charles”; the citation is given as page 97 in the 1899 Harper and Bros edition of Charlotte Bronte’s best-known novel. Page 97 of the 1899 edition of Jane Eyre has no reference to Mr. Rochester because Jane is still at school at Lowood and is taking her cue from Miss Temple; additionally, Rochester’s given name isn’t “Charles”, it’s “Edward” – as in “Edward Fairfax Rochester” as Jane so relates to the reader on page 528 of the same 1899 edition (there aren’t even any characters named Charles in the book – I checked). The mis-quote stopped me in my reading tracks. I had a choice to make: finish A Vindication of Love (which the publisher was so nice as to send to me on request) or chuck it. I chose to finish it but paid far more attention to examples and citations than I normally would. Not too many pages later, Rochester’s name was given correctly so I have no idea what happened the first time. I didn’t find any other issues, either, so maybe a computer did it. Nehring has wonderful arguements. I very much agree with many of her points, that our culture of Match.com and speed-dating creates an unsatisfying safety net. I also agree with her that love takes courage, the courage to risk being hurt in order to give and receive love. Once I got past the quote hiccup, I was able to really enjoy Nehring’s examples because many were familiar to me. I had a lot of fun reading this book – I thought alot, too! The Falls was the selection for Literature by Women in August. I’d never read a Joyce Carol Oates novel (even though I’ve acquired a few at library sales) so I went into the month with an open mind. I also started a week behind because I was at Conclave the first week of August. The Falls is a very meandering novel and I’m still not sure what exactly is the central narrative plot. Is it Ariah’s life and experiences near Niagara Falls? Is it the area of the Falls themselves? Can a novel be setting-driven as opposed to character- or plot-driven? I’m not quite sure because the focus of the novel moves from Ariah as the “Widow Bride of the Falls” (after her new husband jumps to his death the morning after their wedding) to the fate of Ariah’s second family during the Love Canal crisis. There are many links to the treacherous and seductive Niagara Falls throughout the narrative. Oates contributes further to the meandering quality by changing narrative points-of-view and even the narrator. There’s an “I” that appears every once in a while and it takes a bit to figure out which character is the “I” (sometimes it seems like a different character, too). The description is exquisite at times, particularly in the first chapter in describing the Falls on the morning of Gilbert’s suicide. The characters themselves are irritating at times, particularly Ariah in her ostrich-like way of ignoring the outside world. Juliet is bothersome to be in that she’s burdened with one of the most famous literary names in history (and very nearly shares her fate). The research into Love Canal is extensive and while I don’t think all the information is necessary for the reader to believe in the rights of the plaintiffs (it’s pretty obvious that the big shots were completely at fault and completely without morals) it does seem necessary for the characters to have everything spelled out for them in order for them to believe in the validity of the case. I am glad that The Falls was put forward for Literature by Women and that I was finally able to read some JCO. I just wish I had been prepared for the meandering quality of the novel. Although, I should have guessed from the length of the book that is wasn’t going to be too terribly compact as far as plot. *FTC Disclosure: I received a review copy of this from BNBC. I found Rob Sheffield a couple years ago when his first memoir, Love is a Mix Tape, hit B&N’s Discover Great New Writers display. I loved it and sobbed my way through it on a lonely Valentine’s Day. Rob has a new book, Talking to Girls About Duran Duran. I have a friend, Beth, who works at the Park Slope B&N where Rob was doing a signing. She got me a signed copy – score! Like Love is a Mix Tape, Talking to Girls About Duran Duran is organized around a musical theme. Each chapter progresses through the 1980s using a group or song Rob related to during his formative years. [Rob is about ten years old than I am; he’s at the beginning of the GenX/MTV generation and I’m at the tail end.] He talks about how his four sisters (especially his youngest sister, Caroline) shared his musical explorations and even led him to new groups as they taped back and forth. Rob looks at the New Wave one-hit-wonder phenomenon using groups like Haysi Fantayzee (singers of “Shiny, Shiny”). The fun of singing eighties hits at karaoke bars is discussed. He leaves off after looking at the rise of NKOTB and rap in the early 1990s. I really like Rob’s writing style on the Pop Life blog at Rolling Stone and it carries over into his books. If you love the eighties, please, please read Rob’s book. After I finished Duran Duran I spent an entertaining afternoon putting together a playlist on iTunes using the songs from the chapter headings of Duran Duran. I wasn’t able to come up with a couple of songs (“Shiny, Shiny” being one of them) but I rounded out the list with a few extra Duran Duran songs. Appropriately enough. This is another instance of starting a book then forgetting about it for a year. I suggested The Moonflower Vine for my bookstore bookclub last September. I read the first 60 pages or so then either got distracted or lost interest (can’t remember anymore). I dug it back out and finished it eleven months later in an attempt to decrease the number of half-finished book languishing around the house. The Moonflower Vine is the only novel published by Jetta Carleton, surprising in that she had a successful career as a radio and television copywriter then later operated a successful publishing house, The Lightning Tree. The Moonflower Vine was out-of-print until Jane Smiley commented on the novel in 13 Ways of Looking at the Novel leading HarperPerennial to release a new edition of The Moonflower Vine. Although largely autobiographical, The Moonflower Vine doesn’t have a tight narrative; the story is actually created by a set of vignettes, each narrated from the point-of-view of one of the Soames family members. The first section, which is also the “modern” segment, is narrated from the vantage of the youngest daughter Mary Jo, modeled on Jetta herself. It tells the story of a single day in the Soames family, busy with cooking, celebration, family. The next segments jump back into the family history, explaining why each of the three other daughters – Jessica, Leonie, and Mathy – and parents Callie and Matthew behave as they do. Education is important in the Soames family, as is good work and avoiding idleness. Carleton’s writing shows a love for her rural Missouri setting; the most lush description is reserved for scenes where the sisters are enjoying the outdoors. The Moonflower Vine is also like a time capsule, describing a time and place in middle America where the school principal might still farm his own land, too. I am so glad I went back and finished The Moonflower Vine – this is not a novel to be missed and definitely not one to speed read. I’m a big nerd. I think chemistry is pretty fun (where else do you get to set stuff on fire, distill alcohol, make drugs, and play with expensive machinery like Rotovaps and even more expensive machinery like NMRs). I heard Sam Kean speaking on NPR about his new book The Disappearing Spoon, a book that is all about the elements on the Periodic Table. It sounded so wonderful I just had to have it – I opened up my nook, called up the Shop, and had it downloaded in about a minute. Ahhhh, book love, instant gratification at my fingertips. Anyway, back to The Disappearing Spoon. Kean doesn’t start with hydrogen, helium, and beryllium, discussing each element in turn as the periodic table ascends in number – good for a textbook, not so fun for a popular science book. Kean instead groups the elements by type (noble gases), function (poisoner’s corner), or interesting stories (gallium tea spoons and radioactive lead). He opens the book with his own fascination with mercury (an element strongly linked with his childhood) and then on into the depths of the periodic table. This allows him to talk about elements that are chemically similar or elements with similar stories of discovery. The periodicity of the elements (the first functional arrangement is credited to Mendeleev) helped a number of chemists, some of them quite eccentric, determine where and how to look for “new” elements. Kean does a great job of both telling stories and explaining the chemistry. Having a chemistry background, I wasn’t bored when Kean gave an elementary explanation; that being said, a casual reader without a scientific background won’t be overwhelmed by technical explanations and equations. The Disappearing Spoon is really a fun book to get people interested in the stories behind the science (scientists are just as nutty and gossipy as the average human) – from there people might stay interested in the science. Who knows what somone might discover. Discoveries lead to squabbles, squabbles make for great anecdotes. Some are pretty funny, some are sad. Some, like that of Primo Levi, whose knowledge of chemistry allowed him to obtain food and survive the concentration camps of World War II, led me to new books and a new project/blog Reading Chemistry. I had a brain wave – with the International Year of Chemistry ocurring in 2011, why not have a blog for reading chemistry-related books of all types? My goal was to get it set up before 2011 and then keep going when the year is over. I might add other contributors as I go but for now it’s just me and some cross-posted reviews. Yay, chemistry! Children of the New World by Assia Djebar took me to a new area of the world – Algeria – and a new setting – Algeria’s war for independence from France. It’s a guerilla war, uncertain, with freedom fighters hiding out in the hills, shelled by a French-backed military. The lives Djebar chooses to show the reader are those of ordinary Algerians, women, children, men, revolutionaries. It’s like a slice of life only this slice of life is liable to open with a bomb that lands in the courtyard, killing someone’s mother-in-law. Children of the New World is more than a feminist novel. The interconnected stories of a single day in a provincial Algerian town show how the inhabitants live under the constant thread of detention and death. Although many of the main characters are women, younger, more educated than their mothers, and walking the line between seclusion and freedom in a Muslim world, Children of the New World is a nationalist novel – it’s about the right to be recognized and live freely in your own town and country. The people of Blida represent those ordinary men and women who risk their lives, even in so simple a gesture as crossing the town unaccompanied to warn a husband, in a war of independence. This is a novel to be read for it’s point-of-view and Djebar’s beautiful writing.